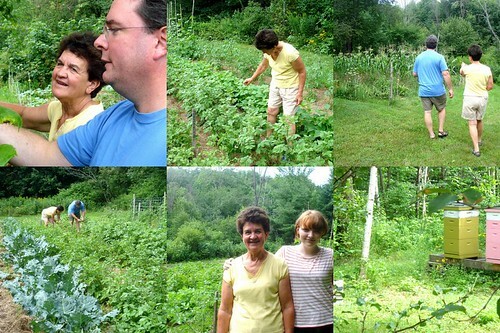 We've been up a couple of times this summer to the family homestead, to visit, swim and pick berries. Lots of berries. And roast marshmallows. And tour my mother in law's extensive gardens. We always enjoy our time spent at the Point, out on the pond. 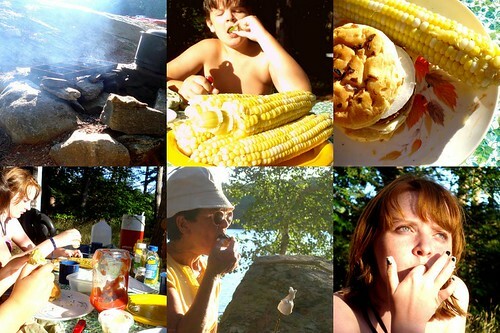 We've cooked fresh corn over the fire, had cookouts, and have eaten delicious blackberry cobbler. And about two hundred photos later, I'm ready to share some of it with you! My mother in law is a master organic gardener. There's always so much to admire about the huge gardens she keeps and so much to learn, of course. We picked over ten quarts of blackberries and about three quarts of high bush blueberries. 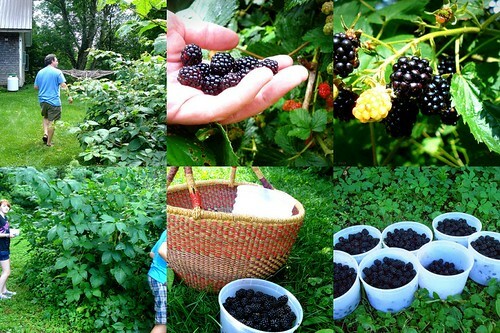 We'll be up again soon to do a little homestead-sitting and it looks like there will be even more blackberries to pick. Oh shucks. The family meals at the Point, the old family camp on the pond. Corn on the cob, cooked over the fire. Extra onion on the burgers. Iced tea. 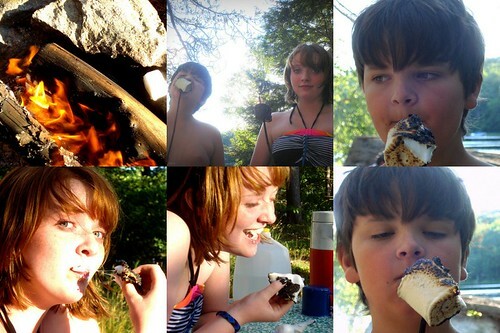 And marshmallows for dessert. 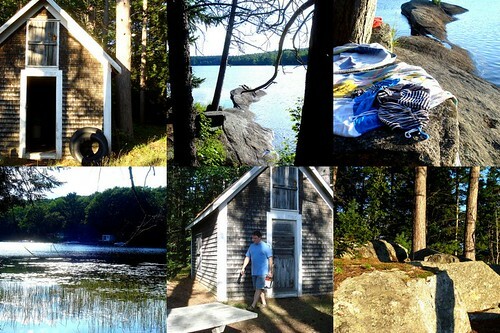 The camp point: generations of memories. Swimming in the pond. 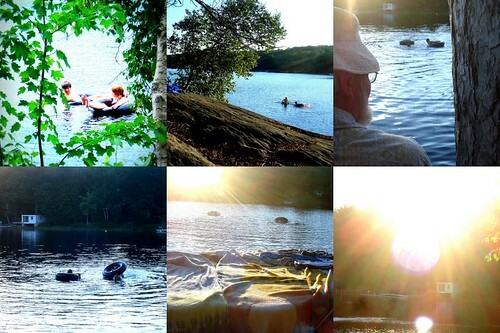 The laughing, the amazing inner tube stunts, the visiting loons, the sunsets. Summer days ending. Going home tired, content and filled-up with good memories of days well-spent. Looks like a beautiful summer! Great photos, as always! Amy- what a treasure of a place to have in your family. That is what Summer is all about and you are wise enough so take the time to pause and drink it all in. Thanks for sharing. 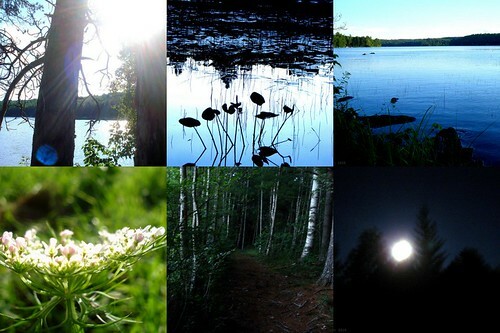 Oh, what a treasure - beautiful photos. I think that is what is missing so much ... a sense of history, a place that IS family, something that keeps on from generation to generation. We don't have it yet, but do hope some day to have a place that is HOME and family, that is a treasure, and that is there for our children and grandchildren and so on through the generations.